Kaiden had the BEST response to seeing Ashley for the first time. It was literally perfect, like the kind of reaction every bride secretly/not-so-secretly hopes her groom will have. 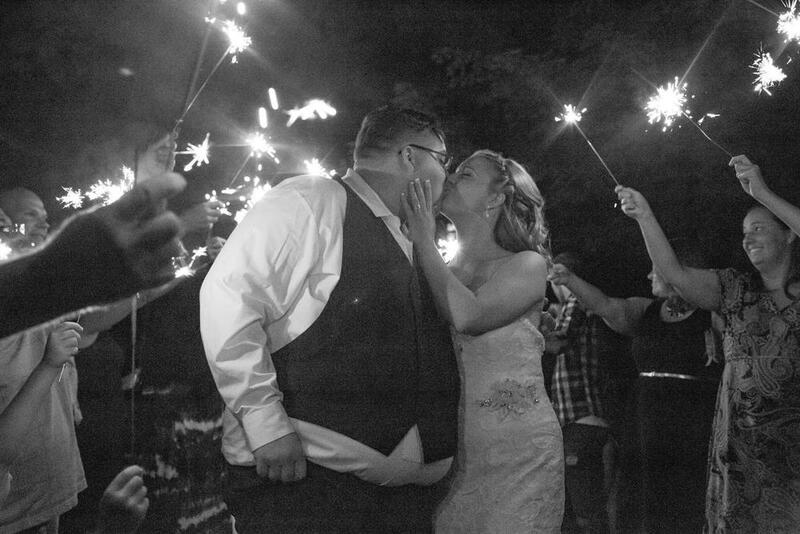 Lots of vintage touches and a love so strong it was practically tangible helped make this Sodus Point wedding a major success. I can't wait to share more, but in the meantime enjoy a few highlight images from Kaiden and Ashley's day! P.S. The customized dress hanger is always worth it! And tell me the bride doesn't bear an uncanny resemblance to Katherine Heigl? !